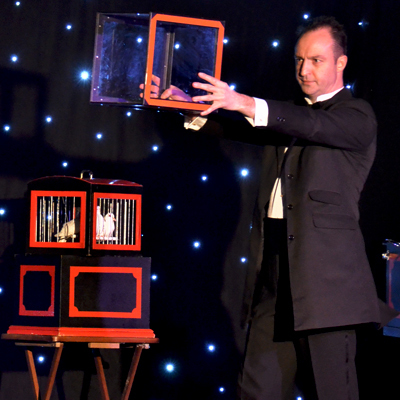 Welcome to the homepage of the award winning and multi talented stage and dove magician Simon Vertue. 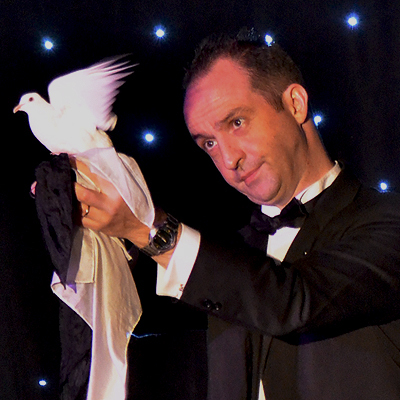 Simon Performs a wide range of magic for a wide range of audiences in locations all over the United Kingdom. Most of Simon’s performances are Stage or Cabaret styled stand up performances which are highly suitable for dinner dances, company functions or stage shows. 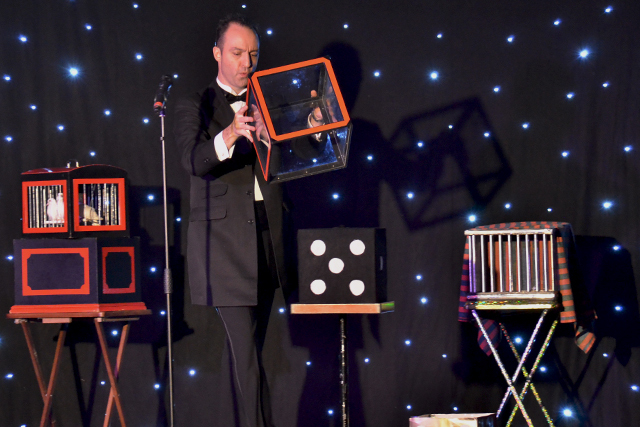 Simon’s one man stand up show is highly suitable for audiences of 300 or smaller and usually combines visual magic and comedy with audience participation. Simon is a regular on the Holiday circuit with appearances in Hotels and Holiday parks across the south. Venues range from 500 seater’s upwards. Simon is also at home on a Theatre stage as a support act or part of a variety show. Simon’s versatility means performances can be customised and altered to suit corporate, private, alternative, comedy club, burlesque, traditional and television. The thing that make Simon’s stage and cabaret performances a little more magical and different is the live doves and animals. The production of a live bird right in front of your own eyes often produces audible gasps and applause. Audience’s loving seeing how well behaved or naughty the birds are and are amazed that Simon can seemingly make them appear and disappear at will. Sometimes the most magical experience one can have is not watching a magician on TV or a stage far away but right under your own nose and very often in your own hands. 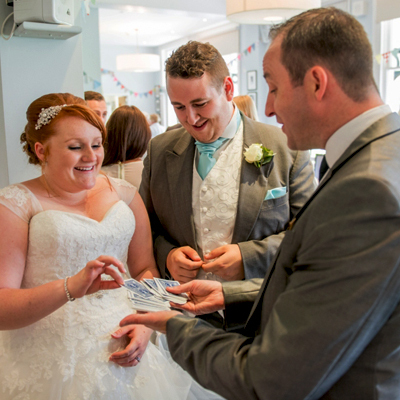 Close up magic is probably the most popular form of live magic as it takes no expensive staging an setting up and takes up no additional space. Highly cost effective and popular on TV. 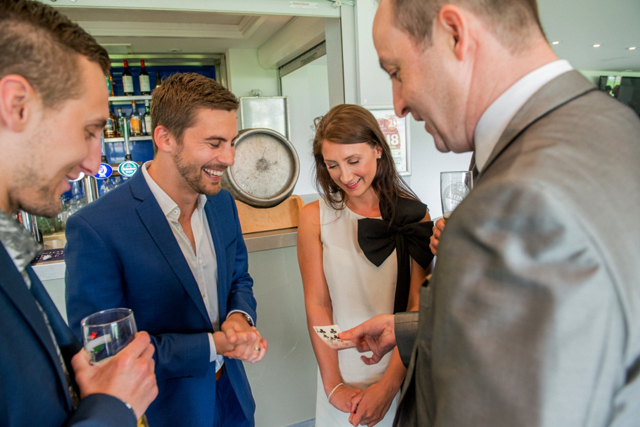 Simon can simply wander through your guests mixing, mingling, amazing and amusing with close up magic. He can go from table to table, group to group. 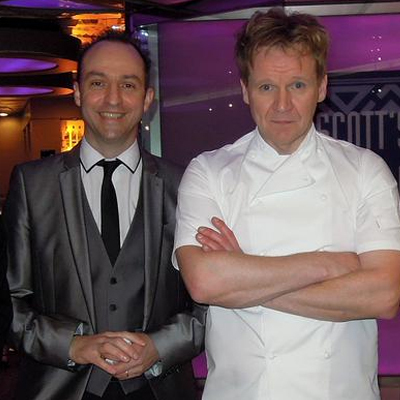 In fact Simon has been resident magician in restaurants and is very experienced in this area. This is highly suitable for wedding receptions, company events, functions, dinners and private parties.